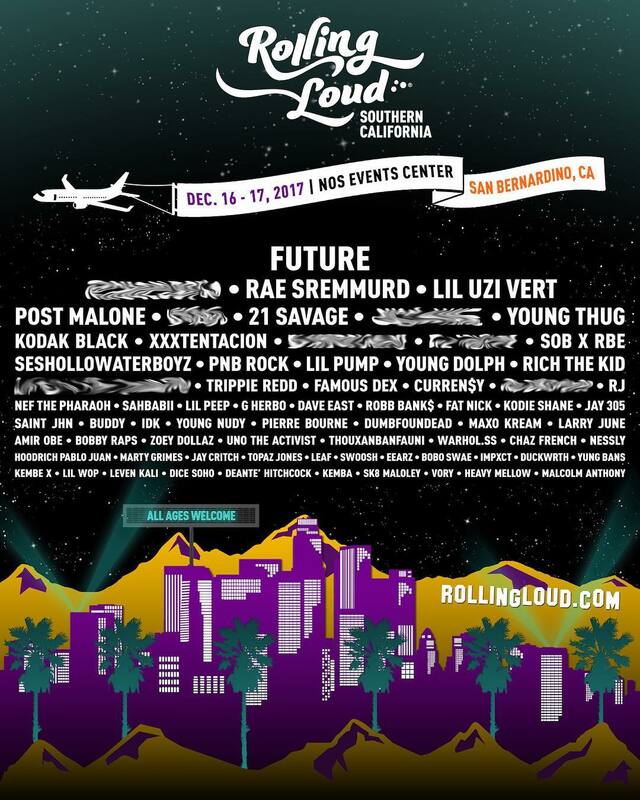 The annual Rolling Loud festival went down in Florida earlier this year, and now they announce the lineup for their first-ever Southern California installment on December 16th and 17th. It all goes down at the NOS Event Center in San Bernardino, the two-day event will feature performances by Future, 21 Savage, Rae Sremmurd, Lil Uzi Vert, Dave East, Curren$y and more. Peep the full line up above. Tickets go on sale Monday, September 25th.